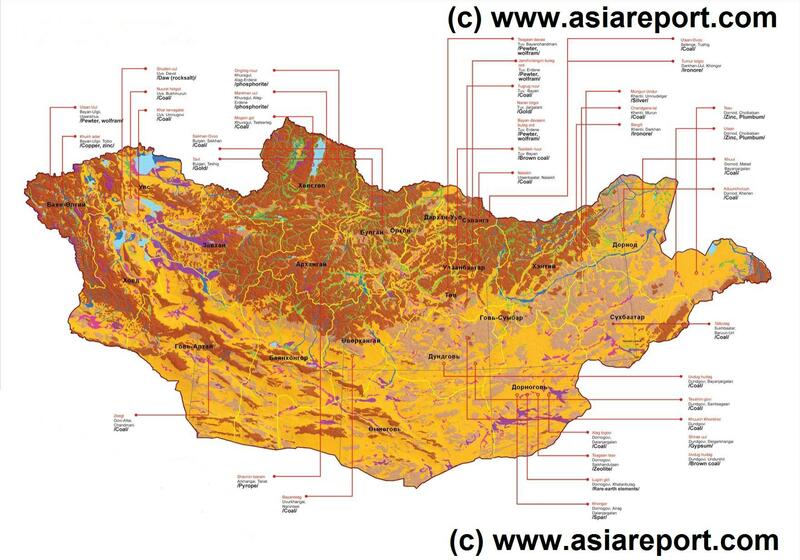 Mongolia Overview Map - Minin 01A - Mineable Mineral Deposits in Mongolia. Mongolia Overview Map - Minin 01A - Mineable Mineral Deposits in Mongolia. The Mongolia Report - A Unique Mongolia Experience on the Web ! !